Question of the Week: I’ve recently had a tooth removed due, and while the gap isn’t great to look at, how important is getting this problem corrected with a fixed bridge, and my dentist says I need a fixed bridge. Why is this so important? This is a great question that we’ve heard time and time again. Teeth can be lost or pulled from your mouth for a variety of reasons. It could be caused by genetics, induced by trauma, or consequential from tooth decay. Why is it important to fill in the gaps left by teeth that have been removed either by a dentist or by accident? Other than a purely aesthetic reasoning, there are important reasons that make getting a fixed bridge or dental implants necessary to maintain your oral health. When teeth are removed, a number of problems can arise due to the missing space that is normally filled by the tooth. The empty space can affect the movement of the teeth around the opening. Teeth will normally shift around to try and compensate for the missing tooth. Each tooth in your mouth usually has contact with the opposing arch, and touches an opposing tooth. The consequences of the seemingly small issue of missing teeth can be drastic. The first problems that you can immediately see, other than aesthetic issues, are with speech and chewing. You might speak with a lisp, or might not be able to chew harder foods, like meat or uncooked fruits and vegetables. These small changes have the potential to lead to malnourishment and unhealthy eating habits. Your teeth are also responsible for supporting the soft tissue in your lower face, and without all of your teeth to support it, you could potentially have the soft tissue around your mouth and jaw start to collapse. This gives you the appearance of premature aging. The teeth directly above the missing tooth can also start to cause problems for your entire mouth. Without the opposing teeth, they will start to extrude, and could potentially damage your other teeth and create chewing problems. 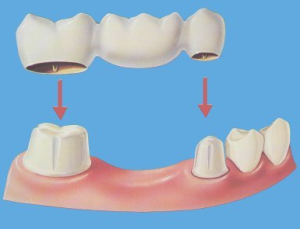 This shifting can cause you to not only need a fixed bridge implant to correct the missing tooth, but also adult braces to correct your bite, depending on what your dentist advises. Missing teeth can also induce joint pain and tension in your jaw for overcompensating for the changes in your bite. Dental implants and fixed bridges have been used for decades to avoid these problems, and to replace missing teeth. The loss of teeth is not always preventable, especially in cases of unanticipated genetic issues or trauma, but no matter the cause, the solution is clear! 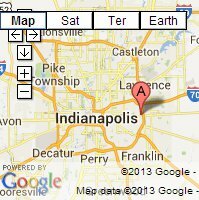 Indy Family Dentist can fix all of your dental needs, whether you are just looking for a cosmetic fix, or need to address a more serious dental issue. Call us today, and let us help you to protect your precious smile!